We’ve provided the following information to help local residents understand the laws that pertain to animals. All owners or possessors of animals or anyone having charge or custody of an animal must provide the animal with proper food, water, shelter, and veterinary care when necessary, and must comply with all local and state laws in regards to the care and keeping of animals. Failing to provide an animal with the necessities of life or failing to follow local or state laws is a crime and can result in fines, criminal citations, or in extreme cases, charges being filed with the District Attorney’s office which can result in steep fines and/or time in jail. Some laws vary from city to city within San Mateo County so please note that these are only summaries of some of the laws passed by San Mateo County. For complete and exact wording of specific laws, contact your city. Animal Control Officers or Humane Officers are authorized by local ordinance (and in some cases by state law) to issue a criminal citations (the court sets the fines for these which vary greatly) for violations for most of the following laws. Like most criminal citations for an infraction (similar to a speeding ticket) the violation must actually be observed by an Animal Control Officer or Humane Officer for them to be able to issue the citation, however, most Police Officers and Sheriff’s Deputies can also issue criminal citations for violations of the animal sections of the laws if they observe the violation. Education and documentation are often used by the Peninsula Humane Society & SPCA in lieu of issuing a citation, however, repeated violations may result in a citation being issued to the owner of possessor of an animal. 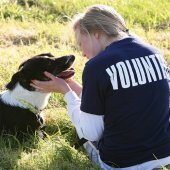 There are many local and state ordinances that involve animals; however, PHS/SPCA is only contracted by San Mateo County to enforce specific sections of the local ordinances. Barking dogs is one such exception; each city handles excessive barking reports individually. Over limit (too many animals kept on one property) is another example. Please contact your local city to find out how they are handled. Although we are not contracted to do so by San Mateo County, PHS/SPCA does perform animal cruelty investigations. This work is entirely funded by local donations as we receive no funding from any of the national animal welfare groups to perform these investigations. Sometimes another local law enforcement agency will handle animal cruelty cases, but this usually only happens when there is an active call of animal cruelty, such as someone beating a dog where the police arrive on scene to witness the crime in progress. Questions? Call Peninsula Humane Society & SPCA’s Animal Rescue & Control Department at 650-340-8200 and ask for an Animal Rescue & Control Supervisor or Manager or call San Mateo County’s Animal Control Program Manager at 650-573-3726. All dogs are required to be on leash at all times and the leash must be continuously held by a competent person capable of controlling the dog whenever the dog is not in a fully enclosed area, including all public and private property, including the dogs own front yard if it is not fully enclosed to prevent the dogs escape. In addition all dogs must be currently licensed before they are allowed to be on leash at all. In other words, if you and your dog are out and the dog is properly leashed as described above, it is still a violation of the leash law if your dog is not currently licensed. Having a current dog license is an integral part of the leash law. The leash law can also apply to other animals, livestock for example, but cats are usually exempt. Note: There is no such thing as “voice command” or “voice control” in San Mateo County, except for dog parks and some other locations, all dogs must be leashed at all times as described above. You can be cited for a Leash Law violation. If your stray dog is impounded, you will be required to pay state and county fees (impound and boarding) when you claim your dog. Your off-leash dog could be hit by a car, resulting in injuries (and an expensive emergency-room visit) or death. This happens several times a week in our county alone. Finding your own dog dead in the street is a traumatic experience. Your off-leash dog could cause a traffic accident, and you can be held responsible. Your off-leash dog could bite/injure a person or another animal; in either case, your dog can be deemed a Dangerous Animal or Vicious Animal, depending on the severity of the bite. In less severe cases, you could be ordered to pay an annual Dangerous Animal Permit fee and face other restrictions for your dog. In more severe cases, your dog could be euthanized. Your off-leash dog could injure or kill a neighbor’s livestock, causing them personal and financial loss. State law allows a keeper of livestock to shoot animals on their property threatening their animals. If your dog is not altered (spayed or neutered), his or her off-leash activities could lead to unwanted litters. The process of looking for a lost dog can be incredibly emotional for all members of your family. All dogs must be licensed each and every year, three (3) year licenses are also available. Cats in the unincorporated areas of the county and in the cities of Belmont, Brisbane, Hillsborough, Half Moon Bay, Millbrae, Redwood City, and San Mateo must also be licensed. Dogs and cats must be licensed by the age of four (4) months or within 60 days of adoption. Click here for more information about pricing and to download a copy of the application. At the age of four (4) months, all dogs in San Mateo County and all cats living in the unincorporated areas of the county and in the cities of Belmont, Brisbane, Hillsborough, Half Moon Bay, Millbrae, Redwood City, San Bruno, and San Mateo must receive an anti-rabies vaccination from a licensed veterinarian. The veterinarian is required to submit a copy of the vaccination form to the San Mateo County Animal Control Program. The vaccination must be repeated at intervals specified by the State Department of Health Services, which is usually every year or every three years. Note: Obtaining a current license for your dog or cat is fully dependent on it having a current rabies vaccine. The owner of a dog, cat, or wolf hybrid for which a license or registration is required shall ensure that said animal is wearing its tag, affixed to a collar, which the animal wears at all times. Animals with microchips may not be required to wear their tag/collar at all times depending on what city or area they live in. PHS/SPCA maintains that having a current license tag and a name/phone #/ID tag in addition to a microchip is the best policy in case your animal becomes stray or gets lost or stolen. All of the PHS/SPCA Animal Rescue & Control vehicles are equipped with a microchip scanner. It is illegal to allow your animal to trespass upon any private property without the consent of the owner of the property and to knowingly permit the animal to remain upon the property or to habitually continue to trespass. The owners, caretakers, or renters of private property may be able to contain the trespassing animal provided they bring it to the shelter or call PHS/SPCA to have the animal picked up. It is illegal to trap a cat in a humane trap and then let it go somewhere else. Doing so would be considered abandonment under California law even though the person abandoning it is not the owner. It is usually illegal for persons to trap wild animals without the proper permits from the California Department of Fish and Wildlife, and like domestic animals, it is also illegal to relocate trapped wild animals. Any wild animals accidentally trapped, even skunks, must be released where they were caught, without relocating them. PHS/SPCA itself does not have the necessary permits to trap and/or relocate healthy wildlife, we are only allowed to trap sick/injured wildlife and rehabilitate them. 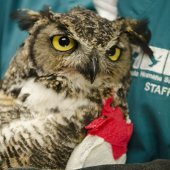 When a rehabilitated animal has been made healthy and is ready for release, it must be released near where it was originally trapped/impounded. In order to halt the tragedy of pet overpopulation in San Mateo County, PHS/SPCA introduced groundbreaking legislation to control the breeding of dogs and cats. The PHS/SPCA ordinance has provided a model for other animal welfare organizations throughout the county. The ordinance has been in effect as of October, 1996, in San Mateo, Belmont and the unincorporated areas of the county. Any dog or cat over six (6) months of age must be spayed or neutered, unless the owners or possessor holds an unaltered license. If an owner intends to breed his or her dog or cat, or if the animal is bred accidentally, the owner must obtain a breeder’s permit in addition to the unaltered license. All dogs and cats over four (4) months of age must be licensed and vaccinated against rabies. Owners or possessors of animals must provide their companion animals with proper food, water, shelter, and medical care and attention when required. PHS/SPCA’s Humane Investigators handle most of these types of complaints, and can do everything from educating the owner or possessor, issuing a veterinary treatment notice, or in cases where the life of an animal is in immediate jeopardy, seizing an animal. Our Humane Investigators also work closely with the District Attorney’s office when these types of cases rise to the level of animal cruelty as defined by state law. A successful conviction on a serious offense can result in steep fines and/or time in jail. Note: “Neglect” as defined by state law requires something more then someone who doesn’t care about their animal or leaves it locked in a garage or backyard, with little human attention. Provided there is food/water/shelter, it is not illegal to not like your animal or to not take it for walks. Most real “Neglect” cases arise from injuries that go untreated. Dog owners or possessors are required to prevent canine companions from biting or physically harassing other people or from causing substantial injury to another domestic animal. In addition, dog owners or possessors may not order or provoke their dog to attack, sic or threaten another person. This violation is a misdemeanor which is more serious then a criminal citation, however, each city usually handles these violations on their own while at the same time PHS/SPCA would pursue a Dangerous or Vicious Animal case against the animal(s) in question. Animals may not be kept in an unattended motor vehicle without adequate ventilation and sanitary conditions, or in a manner that subjects them to extreme temperatures that adversely effect their health or safety. On a warm day, the temperature inside a vehicle can reach 102 degrees in just 10 minutes. Animal Control Officers, Humane Officers, or Police Officers or Sheriff’s Deputies may remove animals from vehicles if not doing so could cause suffering, disability, or death of the animal. Animals in the open back of a pickup or any other vehicle must either be caged or cross-tethered to the vehicle, unless the sides of the vehicle are at least 46 inches high. This law is intended to prevent the animal from falling, or being thrown or jumping from the vehicle. Every animal kept or found under conditions with constitute a violation of any local ordinance or other state laws can be impounded. When there is reasonable cause to believe that an animal is a Dangerous or Vicious Animal the animal will be impounded and kept for such a period not to exceed fifteen (15) days. If the animal is found to meet the definition of Dangerous or Vicious after an investigation, the animal will continue to be held through the Dangerous/Vicious animal process which may include hearings and appeals. “Dangerous Animal” and “Vicious Animal” are legally defined terms in San Mateo County. Animals that have attacked people or other animals can be declared Dangerous or Vicious as defined by the local laws. The level of the severity of the attack as defined by the ordinance determines the appropriate designation, however, there are many factors in determining if an animal is Dangerous or Vicious, including where the incident happened, how it happened, and if all parties were in compliance with other local/state laws when the incident happened. Dangerous Animals can sometimes be kept under a Dangerous Animal Permit, while Vicious Animals are required to be euthanized. Regardless of the designation, owners or possessors of animals designated as Dangerous or Vicious have the right to a hearing to dispute the designation. The hearings are conducted by San Mateo County which requires payment to cover the costs of the hearing by the owner or possessor prior to the hearing taking place. 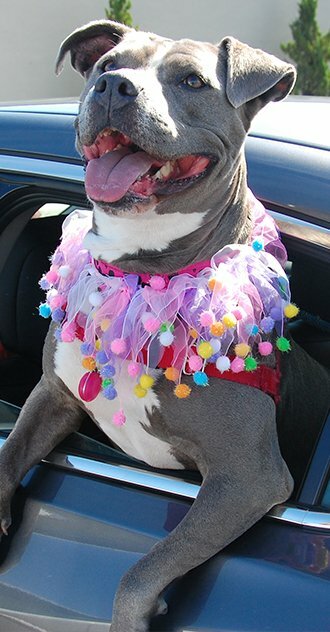 If our Officers investigate an incident and there is conflicting information or statements or if PHS/SPCA determines from the information presented to us that the animal is not Dangerous or Vicious, any interested party may dispute our findings by requesting the appropriate hearing. In those types of cases, the party requesting the hearing is the one who has to pay the costs of the hearing prior to the hearing taking place. It is important to note that an injury that is only two puncture wounds or one which needs only a few stitches to close is enough, according to the current ordinance, to declare a dog Vicious which requires it to be euthanized. The Animal Control Officers and Humane Officers at PHS/SPCA act as the Health Officers when it comes to investigating animal bites in San Mateo County. Each and every bite to a person from an animal subject to rabies is investigated and the animal must be quarantined after the bite. The State of California has declared San Mateo County as a rabies area, meaning certain animals must be vaccinated against rabies and that all bites to people from animals subject to rabies are investigated to ensure the health of the animal. This also means anyone going to a medical facility reporting they’ve been bitten by an animal subject to rabies, including dogs and cats, the medical facility must complete an animal bite report. This bite report must then be forwarded to PHS/SPCA, either by fax or by mail, by the medical facility. Depending on the circumstances of the bite the quarantine of the biting animal may take place at home or it may take place at the shelter and regardless if the animal is currently vaccinated against rabies or not, the animal must be quarantined. Most bites to people from an animal subject to rabies involve a 10 day quarantine. This 10 days starts from the date of the bite. Rabies is only transmittable 10 days before the commonly known rabies symptoms (strange behavior, frothing at the mouth, etc.) would show themselves. If an animal is already showing signs of rabies, the rabies virus is not transmittable, hence, the quarantine of otherwise healthy looking dogs, cats, and other domestic animals. Most of the animal bites PHS/SPCA sees are dog bites, but keep in mind that statistically 75% of all people bitten by dogs are bitten by either their own dog or a dog they already know, such as a friend or neighbor’s dog. Often people do not “want to get a dog in trouble” and they conceal information about the animal or the owner either when filling out a bite report at a hospital or when our Officers are investigating the bite. California Health & Safety Codes Sections 121705 and 121710 address the concealing of information about the location of an animal subject to rabies, violations of the quarantine requirements of animals, and owners or possessors who fail to produce the animal in question. Violations of these codes are a misdemeanor, which can be up to a year in jail and/or a $1,000 fine per day they are in violation. In addition California Civil Code sections 3342 and 3342.5 addresses the liability of dog owners for damages suffered from dog bites including civil actions against them. Dog owners and possessors are civilly liable for their dog’s actions. To further this point, in the State of California, one insurance company reported the average claim against the biting dog owner’s insurance policy in 2011 was $38,500. PHS/SPCA does not quarantine dogs when they’ve bitten or attacked another dog, or cat. 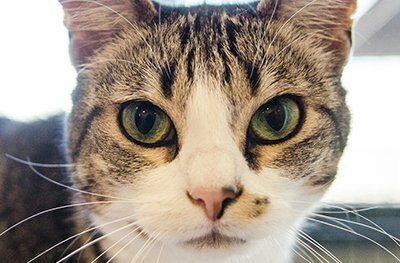 Similarly PHS/SPCA does not quarantine cats when they’ve bitten or attacked another cat, or dog. However, if a dog attacks another domestic animal there might be a Dangerous or Vicious Animal investigation depending on how the incident occurred. If a dog or cat, or other domestic animal, comes in contact with a wild animal subject to rabies, the domestic animal must be quarantined. To this end the Animal Control Officers and Humane Officers at PHS/SPCA act as the Health Officers in San Mateo County in regards to domestic animals coming into contact with a wild animal subject to rabies. The length of the quarantine period is usually 30 days in the case of animals currently vaccinated against rabies, or up to six (6) months if the animal is not currently vaccinated against rabies, that is, if they had a vaccine and it was expired at the time of the contact or if they never had a vaccine at all. If the wild animal is available for rabies testing, the San Mateo County Public Health Laboratory will test the wild animal to see if it had rabies or not. The rabies test can not be done on a live animal, instead, the animal being tested must be euthanized before the test can be done. There is no “blood test” or “behavior test” that can be done on animals to see if they are rabid or not. If the lab results show no rabies in the wild animal, the domestic animal’s quarantine ends immediately. Such a test could also be done if a wild animal subject to rabies has bitten a person, however, due to the fact that rabies is nearly always fatal if treatment is not sought, PHS/SPCA must ensure the proper wild animal has been tested. If someone is bitten by a raccoon in their backyard, and the raccoon leaves, and seemingly later comes back, it would be nearly impossible to tell if the raccoon that came back is the same raccoon that bit the person or a different one. In such a case its best to contact your local health care provider to get information about the post exposure rabies treatment. Most of our domestic vs. wild animal incidents involve dogs let into their backyard at night where they encounter and kill or injure a raccoon, skunk, or opossum. If you need to let your animals out at night a good idea is to use a flashlight or floodlight to check the area to see if there are any obvious signs of wild animals before letting the dogs out. A less common, but far riskier, type of incident is when an “indoor only” cat captures a bat that flew into the house or apartment where the cat lives. Several times a year our Officers see “indoor only” cats that are not currently vaccinated against rabies that have captured or had contact with a bat that flew into the house or apartment. If this is the case, the quarantine period for the cat is six (6) months. If the bat can be captured and tested the quarantine would end sooner if the bat tests negative, however, most of the animals that end up testing positive for rabies in San Mateo County are bats. If your cat (or dog) captures a bat, contain the bat by closing it off in a room (with no animals or people in it) and call PHS/SPCA to report the incident. At no time should you ever touch a bat with your bare hands, with leather gloves, or by wrapping it in a towel. You should never attempt to capture a bat if it looks healthy, is hanging upside down, or is flying around. In those cases, or in cases where you find a bat in your house and have no idea how long its been in there, even if you don’t have any domestic animals, close off the area and call PHS/SPCA to report the incident. Do not intentionally let the bat back outside! If the bat escapes, or there is no animal to test such as a dog vs. raccoon incident where the raccoon runs away, the domestic animal will have to endure a full 30 day or six (6) month quarantine and if there is suspected contact between a bat and person, the person will likely have to undergo post exposure rabies treatment. Note: Bats can inflict a bite on a person and their teeth are so small that the bite victim might not even know they’ve been bitten. The only time PHS/SPCA is involved in any incident at a Dog Park is when a person is bitten by an animal there. Even then the only reason there is any sort of investigation or contact by PHS/SPCA with the owner of the biting dog is to ensure it is vaccinated against rabies and to complete a 10 day quarantine (see the Bites & Quarantines tab) of the biting dog. Most Dog Parks are used “at your own risk” as stated on the signs as you enter the Dog Park. In addition, most Dog Parks require dogs entering to be currently licensed and vaccinated against rabies. PHS/SPCA has no enforcement authority when it comes to Dog Parks given that the laws covering them are often under a section of the ordinance that is not the animals section. Often times the laws governing the Dog Park are under a city’s Parks and Recreation section, which is something PHS/SPCA is not contracted to enforce. Complaints about misuse of the Dog Park or aggressive dogs at your local Dog Park should be directed to the city where the Dog Park is located. Prior to 2003 PHS/SPCA Animal Control Officers and Humane Officers would respond to complaints about ongoing leash law violations of dogs at parks and beaches and our officers would educate owners about the leash law and would make enforcements when necessary. We can still respond to active situations of leash law violations (as staffing and emergency calls permit), however, the routine patrol of parks and beaches for leash law violations is now up to each individual city to handle. PHS/SPCA does not routinely respond to reports of those who keep animals illegally, either those animals which are illegal to possess, such as someone keeping a native rattlesnake as a pet, or when someone has animals on their property when the property is not zoned for the keeping of such animals, such as someone keeping goats in the area of a city that is not zoned for that purpose. Reports of this nature are forwarded to the proper authorities, in some cases this is the California Department of Fish and Wildlife or in other cases it is the local city’s building department or code enforcement section. In order to ensure your complaint is properly followed up on, please report such violations to the appropriate entities directly. PHS/SPCA does not routinely respond to such complaints, unless there is suspicion of animal cruelty due to the conditions the animals are being kept in or the conditions of the animals themselves. If our Humane Investigators investigate the situation and find no direct evidence of animal cruelty, they will not seize or take the animals over the limit of what someone is supposed to have according to the city or area they live in. If you have concerns for the numbers of animals you know someone has, but have no direct evidence supporting actual animal cruelty, please contact your city to report the problem. Animals must not be allowed to habitually bark or make noise in any manner that continuously disturbs the peace of any citizen or creates a public nuisance. To report such problems contact your local city to see how it can be enforced. Prior to 2003 PHS/SPCA did have some involvement in helping the cities handle “barking dog complaints”, however, it is now up to each individual city to handle such nuisance complaints and some cities no longer respond to “barking dog complaints” at all and insist that people reporting the problem and the owner or possessor of the animal go to mediation before enforcement action is taken. For specific information on how your city handles these types of complaints, contact them for additional information. Most barking dog issues are due to what is called separation anxiety, where the dogs bark nervously and for long periods of time when the owner is not present. This is not considered “Neglect” under state law (see the Neglect tab for more information). If our Humane Investigators respond to a barking dog complaint but there are no cruelty violations, they will not work to abate the barking dog problem with the owner or possessor, instead they will refer to the person calling to contact the city in which they live for information on how the city handles these types of complaints. If a dog is barking for weeks or months, it probably has food and water, otherwise it would not be able to survive that long without food and water to continue barking. Note: Often people call PHS/SPCA with “false” or “misleading” information in order to get us to respond to what is actually a barking complaint. Calling in “false” or “misleading” information to get us to respond to something which is not animal cruelty or neglect only prevents our Humane Investigators from being able to quickly respond to situations of real animal cruelty or neglect. The County of San Mateo has no law that states owners or possessors of an animal must remove that animal’s feces if it is deposited on public or private property. Given that many cities base their own ordinances on the county ordinances, many cities also don’t have any laws saying owners or possessors must remove animal feces. To determine if your city requires removal of your animal’s feces from public or private property, please contact your city directly. Given the dissimilar laws and the fact that no city has any additional provisions in the animal control contract to pay additional monies to enforce their ordinance to remove animal feces, PHS/SPCA does not investigate complaints about owners or possessors of animals who do not remove their animal’s feces from public or private property. Complaints about owners not removing their animal’s feces from public or private property should be directed at your city, not PHS/SPCA.